15 nights, plus a night on route where required. Australia is a place of exceptional natural beauty where ancient rainforests and vast national parks, rugged mountain ranges and reefs, beaches and waterways, provide sanctuary for Australia’s wondrous wildlife. With the continent accommodating more than 20,000 plant species and 2,300 animal and bird species, many of these endemic, this itinerary encourages complete immersion themselves in Australia’s pristine natural environments and the ability to get up close and personal with our unique wildlife. From darwin airport private 20min flight to private airstrip, 15min hosted drive to bamurru plains. Bamurru Plains is an extraordinary safari-style bush experience on the edge of Kakadu National Park in Australia’s Northern Territory. The coastal floodplains of northern Australia are home to prolific bird and wildlife (Australia’s answer to the Okavango Delta) whilst Kakadu and Arnhem Land are the heartland of the country’s aboriginal culture. 15min hosted drive to private airstrip, private 20min flight to darwin airport general aviation, hosted transfer to main terminal, 4hr flight to sydney, overnight sydney, 2.5hr drive to emirates one&only wolgan valley. Experience the breathtaking beauty of the Australian wilderness at the conservation-led Emirates One&Only Wolgan Valley. With 40 stand-alone villas, each with its own private swimming pool and 7,000 acres of nature to explore, enjoy a memorable break with distinctive dining and very special wildlife experiences. 4WD Tour of the Reserve – An all-encompassing tour of the Wolgan Valley reserve, guests can observe Australia’s native wildlife including the rare white wallaroo. The tour concludes with canapés accompanied by a glass of sparkling wine as you watch the sun disappear over the horizon. Trail ride – Horse riding in Australia’s Blue Mountains is the ideal way to become familiar with the bush, and the types of terrain while encountering the reserve’s wildlife. Signature Nocturnal Wildlife Spotlighting Tour – Torchlight reveals the flashing eyes of sleepy possums, grazing wombats, wallaroos and wallabies. Lucky guests will see an albino wallaroo – one of only a handful in existence (a rare genetic strain found only at Wolgan Valley). 2.5hr drive to sydney airport, 2hr flight to lord howe island airport, 5min hosted drive to capella lodge. Often referred to as the last paradise on earth, world heritage listed Lord Howe Island is home to Capella Lodge, a contemporary luxe beach-style lodge offering an exclusive and unique island experience. Located on the world’s southern most coral reef, with a mixture of temperate and tropical marine life – many endemic to the island, Lord Howe has a unique under water world to explore. Undertake a journey of discovery with world renowned naturalist Ian Hutton, spend a day exploring the most remote rocky coves while walking to the summit of Mt Gower rated as one of Australia’s best day walks and learn all about the islands rare birds, plants, geology and marine life. 5min hosted drive to lord howe island airport, 2hr flight to sydney airport, connect to 2hr flight to adelaide airport, 4.5hr drive (or 65min private air charter to hawker, 10min drive) to arkaba. 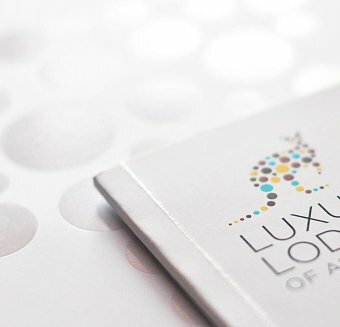 Arkaba’s true luxury lies in the fact that its 60,000 acres of private wildlife conservancy is shared by just 10 guests, taking the definition of exclusivity to a new level in Australia. Located in the ancient and awe-inspiring scale landscape of the Flinders Ranges, Arkaba provides the opportunity for guests to immerse themselves in the story of the bush – its ancient geology, diverse wildlife and the chance to understand the conservation challenges that Australia faces. Arkaba’s wildlife is prolific – with Australia’s three largest macropods (Red Kangaroo, Western Grey Kangaroo and Common Wallaroo) all regular sightings. The country’s most endangered macropod, the Yellow-footed Rock Wallaby, has also returned to Arkaba’s range since the introduction of active conservation programs. For those keen to learn more of the challenges Australia faces in saving its diversity of wildlife, join one of Arkaba’s field guides one evening to track a radio collared feral cat or set up the trip cameras that monitor key sites across the property. The tourism dollars that are spent at Arkaba go straight back into wildlife conservation on the property and an ever improving wilderness experience. Spending time with a local guide bushwalking along the dry bed of the Arkaba Creek is a great way to soak up the sounds and smells of the bush and expand your knowledge on Australian fauna and flora. 4.5hr drive to adelaide airport (or 10min drive and 65min private air charter from hawker), 30min flight to kingscote kangaroo island airport, 50min hosted drive to southern ocean lodge. alternatively, 80 min private charter flight to snug cove on kangaroo island with 30min hosted drive to southern ocean lodge. Explore Cape Young-husband –Trek with your naturalist guide through dense Mallee scrub and along impressive limestone cliff tops. Experience the wonder of hardy flora growing along this amazing rugged coastline, spot the Osprey hovering above, the Fur Seals frolicking in the Southern Ocean waters below and the intriguing formations of the Remarkable Rocks in the distance.